Fresh, crisp and clean. Amare coverlet set brings home a splash of coastal cool style. Slight irregularly of the border is perfectly on purpose, adding to the homespun charm. 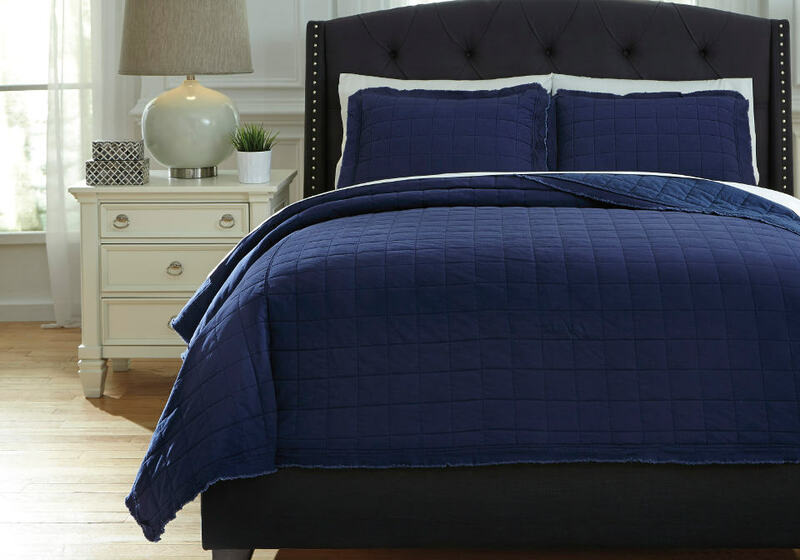 3-Piece King Coverlet Set – Includes Coverlet and 2 Shams. 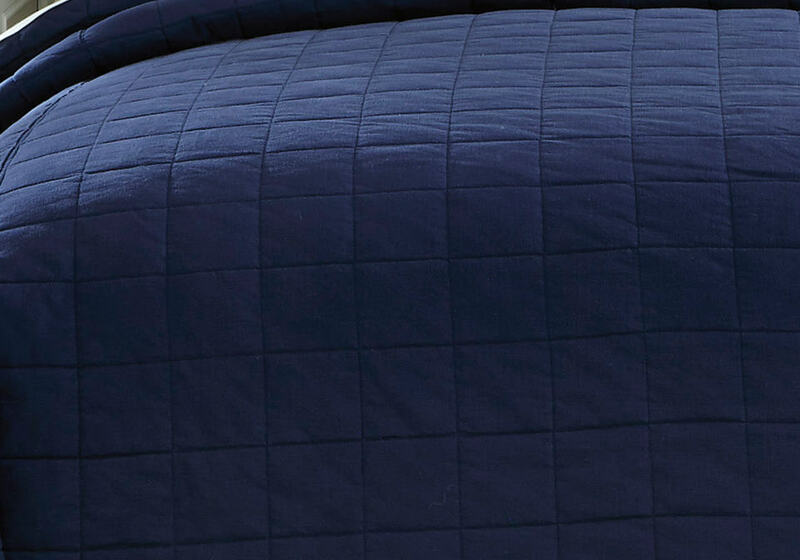 Ruffled Edge Design in Navy. Cotton. Machine Washable.